We have this new facility that has such great infrastructure to be able to build upon with mobility and mobile apps and be able to support all that. But our other facilities do not, and so we have to figure out how to go back in and retrofit the best we can. If you make a mistake, it’s not a dollar or two. It can be a lot of money. It can take you down the wrong path, so I want to be involved in that decision. I want to understand how it all fits together. I try to put enough time into that, but it’s hard to keep up. That’s why you have CTOs. He helps so much with the insight he brings in terms of being able to let us know where we ought to focus to make sure that we properly train physicians, that we don’t frustrate them, that we’re giving them the right tools, that we’re moving in the right direction for them, and that we think about how they use the technology and what their constraints are. We’re not a Mayo or UPMC where they do a tremendous amount of development and develop products that they actually go to market with. We’re very small, but what we’ve been able to accomplish in terms of development of products and testing out products is really pretty phenomenal. I think out of 250 HIEs, there are only about probably about 25 that are self-sustaining, which means that a lot of them aren’t going to make it. But even with that structure and sharing of information, the big glitch is that identifier. You can’t afford to be wrong. Guerra: For the green field opportunity, you have that ability to put in that dream infrastructure, which you’ve done. And that is really the key, it sounds like, to providing the flexibility you need for the future because you can lay lots of things on top of it. Guerra: Do you think that a big problem out there in the industry with most facilities or many facilities is that they’ve got that antiquated infrastructure and they keep layering things on top of it, so people have to keep going back now and doubling or tripling the investment in their infrastructure or they can’t lay on the applications that need to go on to be successful or competitive. Peabody: That’s absolutely right, and we have that situation too because we have this new facility that has such great infrastructure to be able to build upon with mobility and mobile apps and be able to support all that. But our other facilities do not, and so we have to figure out how to go back in and retrofit the best we can. A good example of that would be in terms of the wireless phones. We need a digital phone system. We need a voice over Internet Protocol phone system to be able to support those wireless devices. We can’t do alert management. We can’t link the nurse call system with alert management in those other facilities until we put that VoIP structure in place to be able to support that. That has challenges — to go back and be able to do that. The phone system won’t be too bad. We’ll be able to do that. But an area where I’m not sure how we will be able to accomplish the upgrade is in the area of the distributed antenna system that supports the cell signals. Going back in to those older facilities and trying to put that distributed antenna system in is probably millions of dollars. It’s really unaffordable, and because we don’t have the kind of internal cell phone volume, we don’t provide cell phones for our physicians and our administrators. The only cell phones that we buy are for emergency purposes. We’re a district hospital; we can’t do that. So I can’t go to a cell carrier and ask them to put it in, because I can’t support a big contract with them to be able to justify doing that. So it’s an issue. We have to figure out how to do this. Guerra: Yeah, and I would imagine most multihospital health systems want all their facilities to be somewhat on par in terms of their technological capabilities. You don’t really want one that’s super wired and one with paper flying around. But that’s the reality of it, as you just mentioned — there are certain constraints and investments that can’t be made that cause a situation where you do have facilities at different levels of technological advancement. Peabody: Yes, that’s going to be something that we’re going to start looking at right away; how to bring the other facilities up as close as we can so we can do things consistently across the district, across three hospitals. Guerra: You mentioned Cisco. Can you just tell me a little bit more about the role they played in this new hospital? Peabody: Absolutely. Cisco is a primary partner for us in helping us set up that infrastructure. The wired and wireless network is supported by Cisco’s medical grade equipment, and we use a lot of their technology. Their VoIP technology, the telephone technology is all Cisco. The wireless phones — the 7925s—are Cisco, and so this level of integration and instant notification and getting the right information to the correct caregiver is all based on that technology infrastructure that’s provided by Cisco. The thing that we’re going to be doing, what we’re looking forward to doing with them in the future, is introducing more of the telepresence capabilities. We use WebEx throughout the organization. We have the ability now to use high-definition video on that WebEx that’s running across that infrastructure — real-time capability, and also looking at perhaps digital exam rooms of the future so that we can utilize technology like TelePresence and digital instruments to make those exams much easier for the patients. We can do some things remotely — telemedicine capabilities to the outer reaches of our support areas in northern San Diego County. So it’s a lot of really neat capability that Cisco brings. They’re a very good partner for us. Guerra: Do you have a CTO? Guerra: I interview lots of CIOs and it sounds like you’ve got an extremely good grasp of the technology. That might sound odd talking about a CIO, but it’s just a sense that I get that you’re very well steeped and you get into these issues and you really know them. 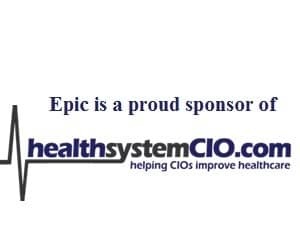 Some CIOs maybe have more of a medical background or a clinical background. Would you say that’s an accurate understanding on my part? Peabody: I think so. I really want to understand the technology and make every effort to do that, because I’m ultimately responsible for how it all fits together. I think that being responsible for the overall budget and the overall strategy, I have to understand it. If you make a mistake, it’s not a dollar or two. It can be a lot of money. It can take you down the wrong path, so I want to be involved in that decision. I want to understand how it all fits together. I try to put enough time into that, but it’s hard to keep up. That’s why you have CTOs — to help you with that. Because as a CIO, you try to manage relationships, try to manage the budget, and work at the executive level to make sure that the proper level of communication is going on. So the amount of time allowed to research technology is challenging. Guerra: I’ve written before that it seems like each organization needs a certain skill set within its C-suite, but how that skill set is distributed is not really important. For example, a CIO who is strong clinically may not need a CMIO at all, or they may not need a super experienced CMIO. A CIO like yourself might be able to do some of the CTO’s work, but then you may need a strong CMIO to help you deal with the physicians. Does that concept make sense? Peabody: Yeah, absolutely. We have a very strong CMIO here, Dr. Ben Kanter, who is my right hand in terms of everything clinical, because you’re right. I’m not a physician. I’m not a clinician. I don’t have that background. I have an IT and a business background and a healthcare administration background. I need that help and that expertise from Ben. He is a tremendous asset. We work together very closely. Without that information we can make big mistakes there too, and that’s an area where you just can’t afford to do it. He helps so much with the insight he brings in terms of being able to let us know where we ought to focus to make sure that we properly train physicians, that we don’t frustrate them, that we’re giving them the right tools, that we’re moving in the right direction for them, and that we think about how they use the technology and what their constraints are. Without him, I just couldn’t do that in a way that we could avoid those kinds of missteps. Guerra: In addition to that, you guys have a position that not too many organizations have, certainly a few. You have a chief innovation officer, Orlando Portale, is it? Peabody: Portale yes. Yeah, that’s a very unique thing and of course we’re not a huge organization. We’re not a Mayo or UPMC where they do a tremendous amount of development and develop products that they actually go to market with. We’re very small, but what we’ve been able to accomplish in terms of development of products and testing out products is really pretty phenomenal. Now that’s not to say that it doesn’t have its challenges because Orlando focuses on the future and development in certain areas, and once he gets it pass the initial development stage, we have to work with him to pilot. We have to work with him to operationalize something. That has its challenges, but it’s really pretty neat what we’ve been able to do. They’ve developed an application called Medical Information Anywhere Anytime (MIAA) that is now been licensed to a company called AirStrip, and AirStrip is now building it and will be marketing that product that was developed right here. It’s taking the information from our electronic health record, which is Cerner, and then reformatting that in such a way that it’s very physician-friendly. That helps them to use that information in a tablet form in a way that’s much easier for them, because the way they want to see information is different than the way another clinician might want to see it or the way a nurse may use it. Their workflow is different. So it’s a pretty neat product, and it was developed by Orlando and the people he works with. Peabody: No, we all work well together and recognize that we’re focusing on different things, but at the end of the day, it’s all going to come together. We’re not testing these things out just to play with them; we’re testing out technology to be able to use it and operationalize it. A good example is an area of technology that we brought in is for registering patients. We’re using a retinal scan device that identifies the patients and can lower the incidence of duplicate records and other issues that you would have if the registration isn’t done properly. Orlando brought that in. We did a pilot and now we’ve operationalized it, and it’s being used throughout the organization. So it really is quite a benefit to this organization to be able to do some of those leading things. Guerra: That’s better than the National Patient Identifier, right, if everyone’s doing a retinal scan? Peabody: Well, I wish we had a National Patient Identifier. That’s part of the issue that we have in terms of connecting to each other and the HIEs. A big problem is still identifying that patient properly. I wish we had that National Patient Identifier that’s locked up in the HIPAA regs that apparently will not be enacted. We really could use that. Guerra: If CIOs took a vote on whether or not they were in favor of a National Patient Identifier, would it be like 95 percent ‘yes’? Peabody: I don’t know. I think it would be a pretty high percentage. That would be my guess. Guerra: Because you’re the ones that deal with the fact we don’t have one. You deal with the pain of that fact. Peabody: That’s right and that’s still going to be an issue, even if these HIEs become successful, and there aren’t many of them around the country at this point that are. I think out of 250-some HIEs, there are only about probably about 25 or so that are self-sustaining, which means that a lot of them aren’t going to make it. But even with that structure and sharing of information, the big glitch is that identifier. You can’t afford to be wrong. Guerra: Right, otherwise the data doesn’t have the value that we all want it to have. If you’re unsure of it — if the physician’s unsure of the correctness that it’s even about the right patient that’s in front of them, they just won’t use it. They’ll just order their own tests like they’ve always done because they say, ‘hey I’m not going to treat this person based on a test that was done somewhere else and went into some Cloud and hopefully I’m matched up and this guy’s name is Joe Smith.’ You know what I mean? It’s just not going to do it. There are too many liability issues. Peabody: That’s exactly right, so that concerns me. I think one of these days we’re going to have to walk up to that.